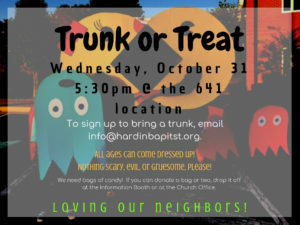 Trunk or Treat is Wednesday, October 31st and begins at 5:30. 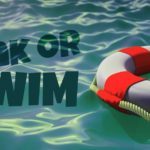 ONLY complete the form below if you plan to serve in one of the 3 ways listed. If you would like to donate candy please drop it off in the Info Booth or at the Church Office. Thanks!